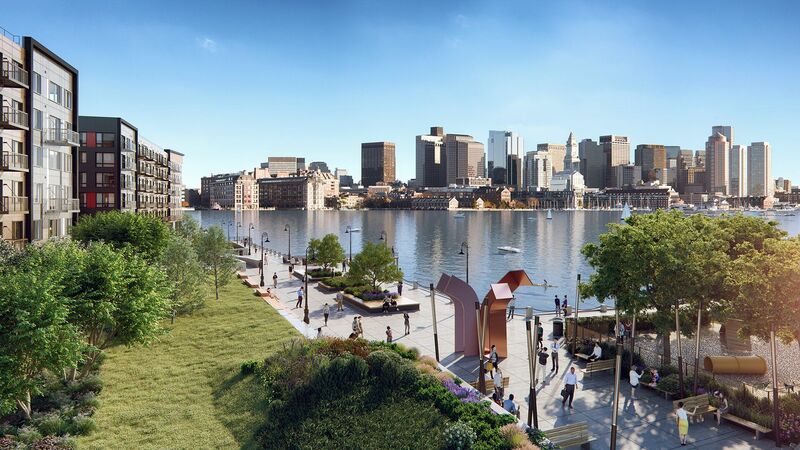 Lendlease Clippership Wharf LLC (“Lendlease”) is interested in commissioning a large-scale sculpture in the round to install in the northwest corner of their Clippership Wharf Development. Lendlease is looking for a landmark sculpture that will promote and reflect the neighborhood, and provide an impactful enhancement to the public realm.The sculpture will be installed along the Harborwalk adjacent to Boston Harbor near Clipper Ship Lane in East Boston, MA. The Site will be outfitted with public seating and lighting. A budget of $ 123,250.00 has been set for the Clippership Wharf Public Art Project. All costs including artists’ fee, travel, engineering, materials, fabrication, transportation and insurance are expected to be within the assigned budget. Lighting, footing, sales tax and art consultation fee are exempt from the budget. Deadline for application is September 15th. For more information, and to apply, click here. ← Meet Benedict Afolayan and newportFILM!